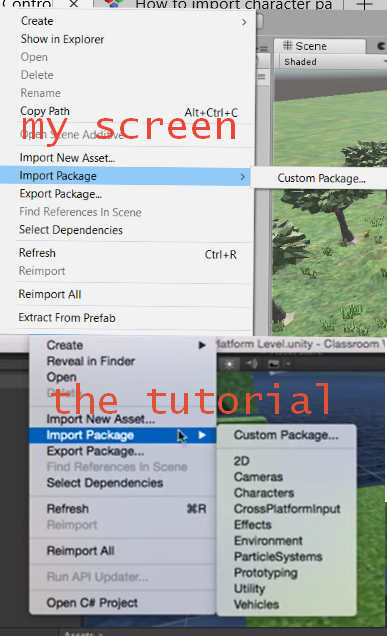 How do I get the character option when I click 'Import Package'? It looks like when you installed Unity, you might have skipped installing the Standard Assets package. You can download it for free from the Unity Asset Store here. Not the answer you're looking for? Browse other questions tagged unity first-person-shooter importing or ask your own question.